The Hockey Association of Zimbabwe (HAZ) will not send the national men and women’s teams for the Africa Cup of Nations (Afcon) to be hosted by Kenya from September 26 to October 5. HAZ vice-president Humphrey Chigwedere revealed that the federation failed to raise $120 000 for travel and logistics to the East African country. 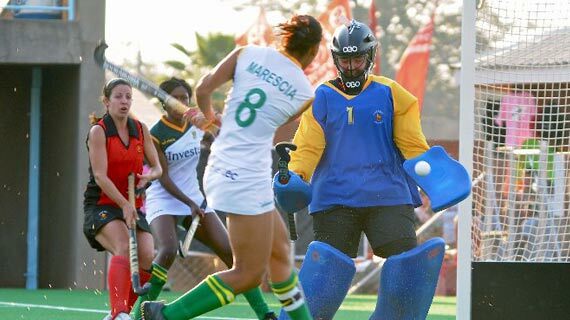 Despite failure to travel to Kenya, Zimbabwe has a chance to host the Hockey World Series next year in September on condition that HAZ refurbishes Magamba Hockey Stadium in Harare. “The International Hockey Federation has given us the green light to host the World Series from September 14-20 next year on condition that we repair Magamba Hockey Stadium. “This is the condition that we have been given and as an association, what we are doing is to wait for the appointment of the Sports minister so that we could lobby for the refurbishment of the facility to the status of Khumalo Hockey Stadium,” Chigwedere said via the HAZ official portal. He noted that 2013 had seen a rise in hockey being played in the country and an increase in the number of players.